Checks should be made payable to: “NVRC,” with “/Turkey Trot Sponsor” on the check’s memo line to ensure that your donation is accurately recorded. We would appreciate receiving your donation by Friday, October 26, 2018. All business sponsorship donations are tax-deductible. The Tax ID# for Saint Joseph’s Catholic Academy is 26-4292850. The Friends of the Pennsylvania Military Museum is also a registered charitable organization. Also, businesses sponsoring at the Courage, Determination, and Strength levels should also send an e-version of their business logo to carmack429@embarqmail.com so that it may be included on the back of the commemorative T-shirt. 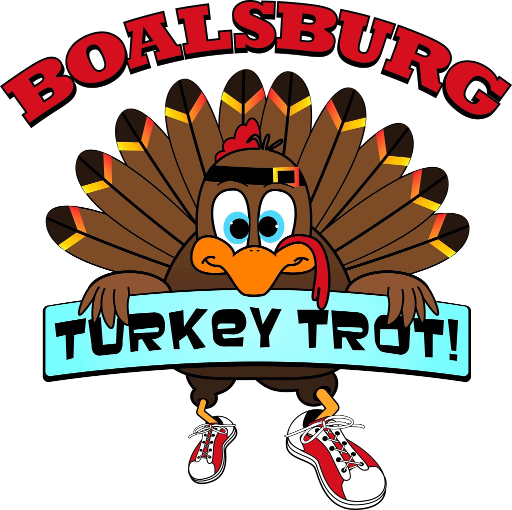 Thank you again for your willingness to consider being a business sponsor for the NVRC Boalsburg Turkey Trot. If you have any questions, please, do not hesitate to contact me at carmack429@embarqmail.com or 814-357-5403.